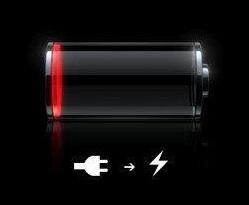 When your phone shows Battery Low, don't continue talking with this Low battery. It spreads more Radiation than normal....Keep your phone full charged.. The lower your battery becomes on the phone the harder the phone is working to interrogate the microwave towers it communicates with, thus, the more electromagnetic radiation it produces and the more detrimental the consequence to you. Therefore, keep your phone charged, carry a spare battery; better yet, use a land-line if you must communicate when your battery is low.